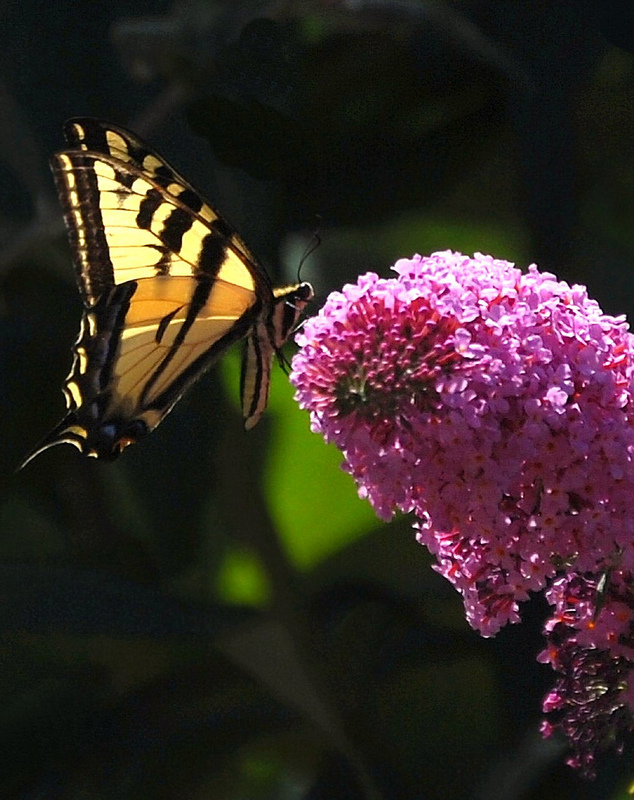 You may be familiar with the Common Yellow and the Western Tiger, but the Swallowtail family of butterflies is much larger and diverse than you may imagine. Take a look at some of the less familiar species, such as the Pipevine above, along with some stunning photographs, and revisit one or two you have perhaps seen before. 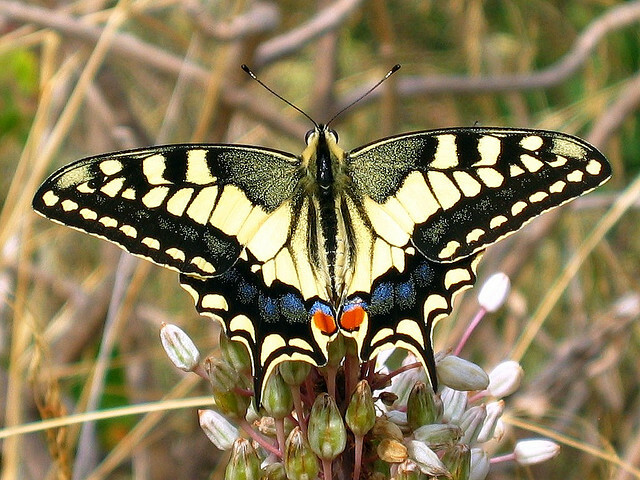 Although not restricted to the Old World, Papilio machaon occurs throughout Europe, Asia and North America. However, the alternative name, the Common Yellow, although more accurate, has less of the natural glamor that the insect itself exhibits. 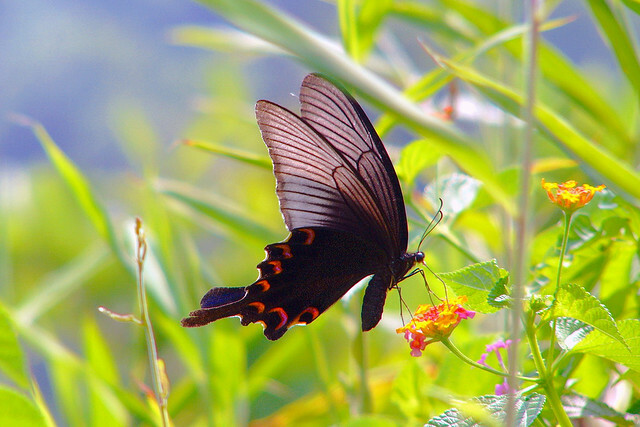 The black vein markings give the butterfly a striking appearance. The name of the insect is, of course taken from the swallow like tails which protrude from the hind wings. Caught wonderfully in this shot you can see the red eye spots at the base of each tail. The caterpillar, for its own safety against predators, spends the first part of its existence looking like bird guano. This is a real ugly duckling to swan scenario, then. 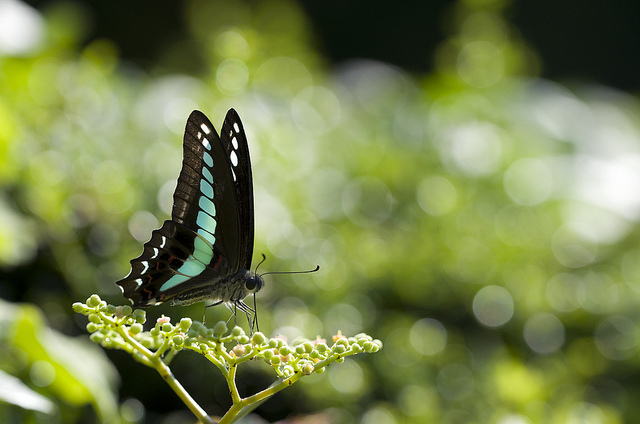 Found in Japan and Taiwan, this beautifully dark species looks as if it has a sprinkling of iridescent blue dust on its wings. 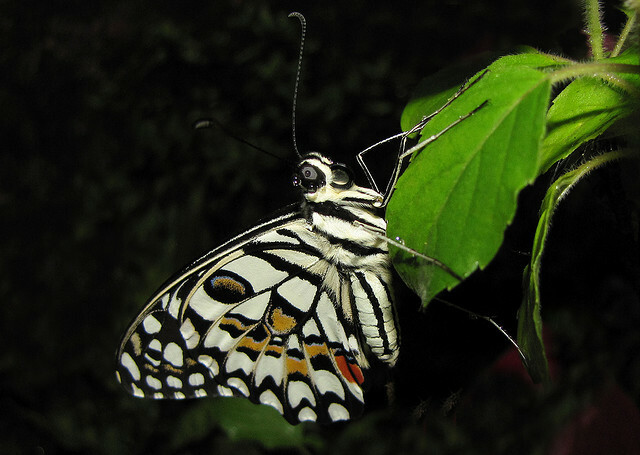 The female, seen here, also has red spots under its wings. It is found in Japan and Taiwan, mostly in wooded areas. However, the Japanese Prickly Ash is becoming popular in urban gardens and so it is making some inroads in to populated areas. It has a wingspan of between four and eight centimeters and this really depends on when it was born. Papilio bianor which pupate in the spring tend to be smaller than those which emerge in the summer. 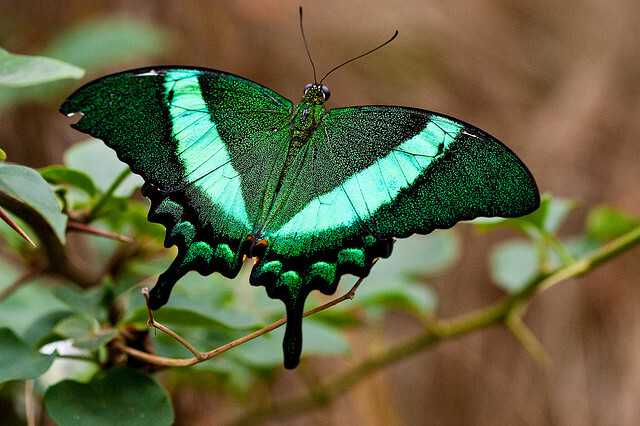 Name a green butterfly, apart from the one above. 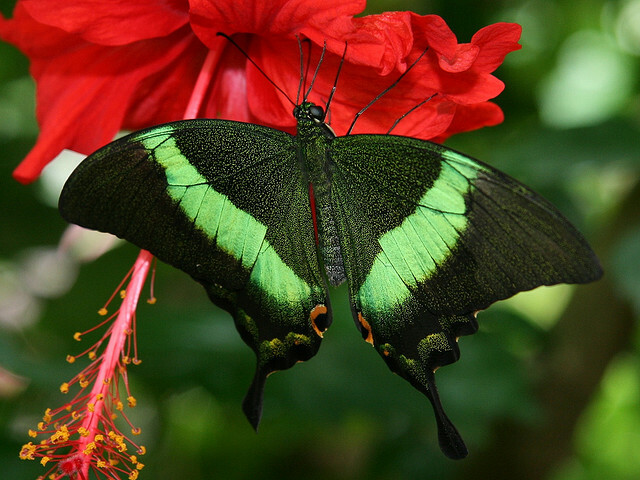 Yes, you’re right, there are not many of them around and the Emerald, Papilio palinurus, is one of the very few extant green species of butterflies in the world. 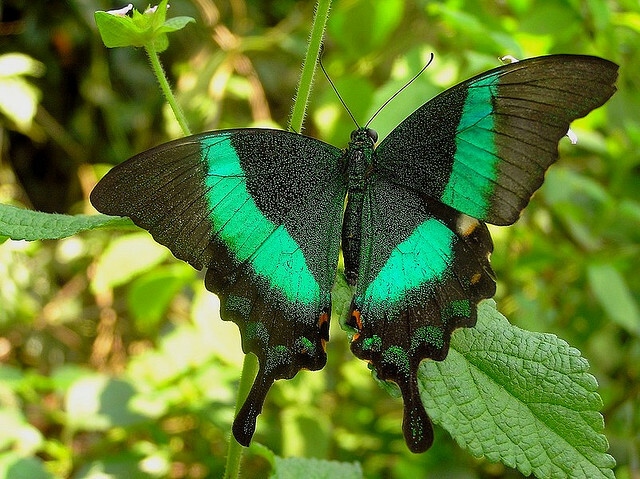 The Emerald is found in South East Asia, particularly the rainforest of Malaysia. 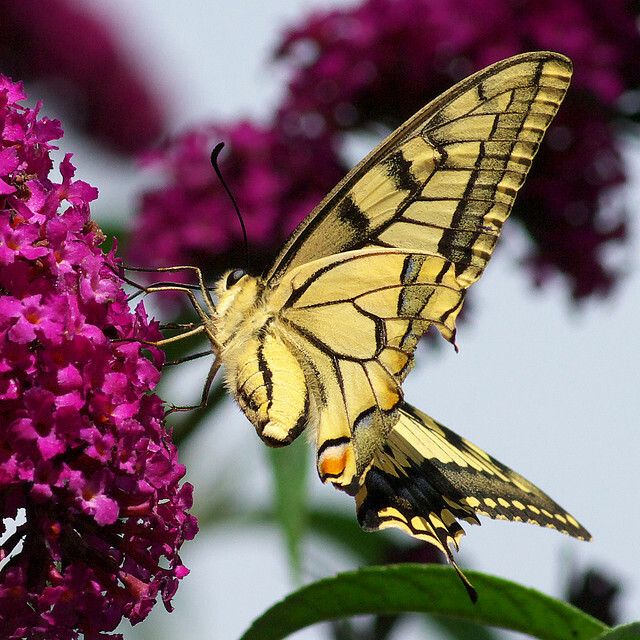 From Asia to Africa, species of swallowtail have adapted and evolved to the local environment. 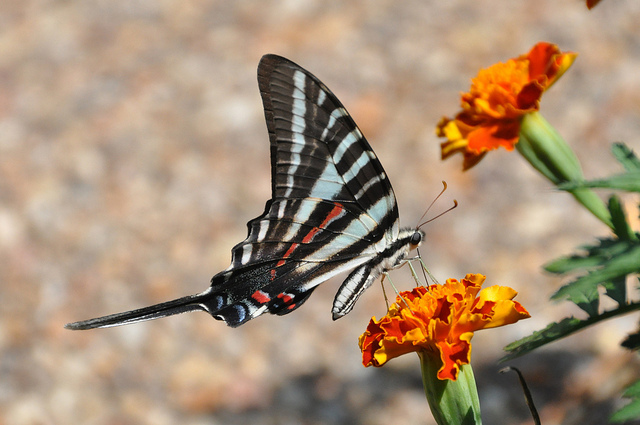 The Citrus Swallowtail, Papilio demodocus, is common to sub-Saharan Africa. Unfortunately, as the name suggests, it is seen throughout the region as a past as it feeds of the trees of citrus fruit. They can be a real nuisance to fruit farmers as there can be up to three generations a year. 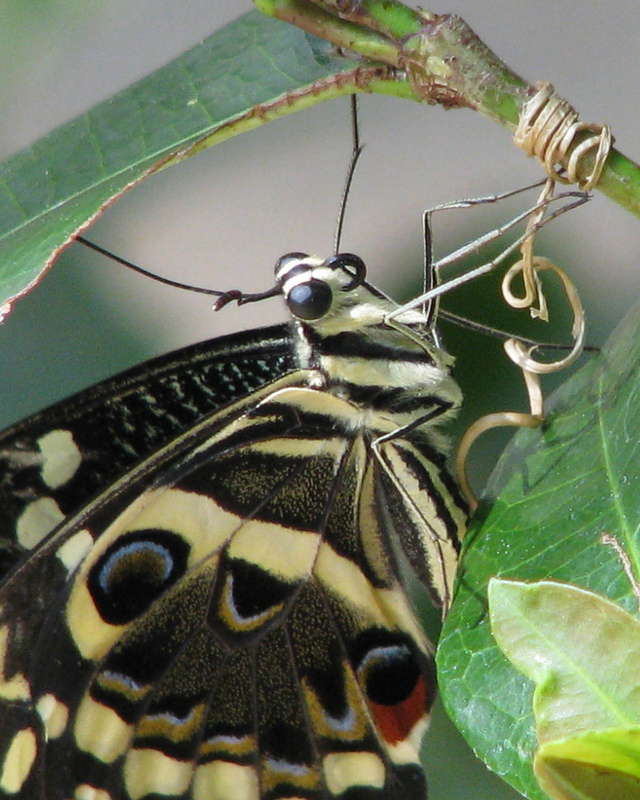 Plus, although the eggs are laid on the trees themselves they are difficult to discover and destroy before they hatch as the butterfly lays them singly. 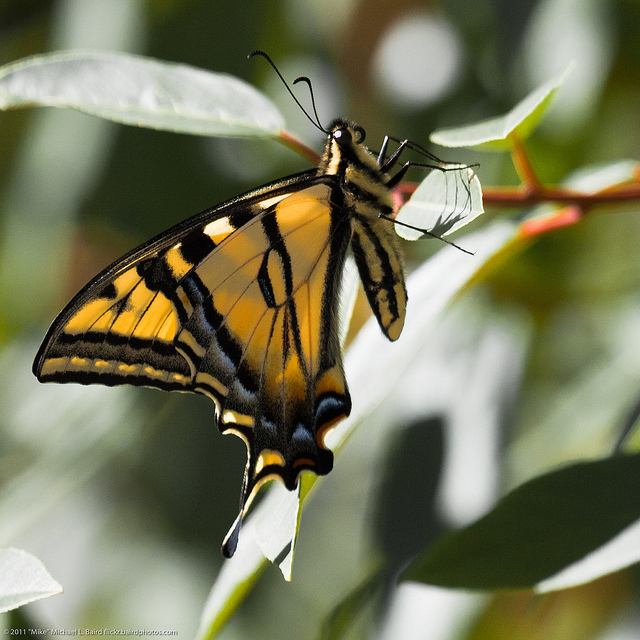 Above you can see the life cycle of the Citrus Swallowtail. 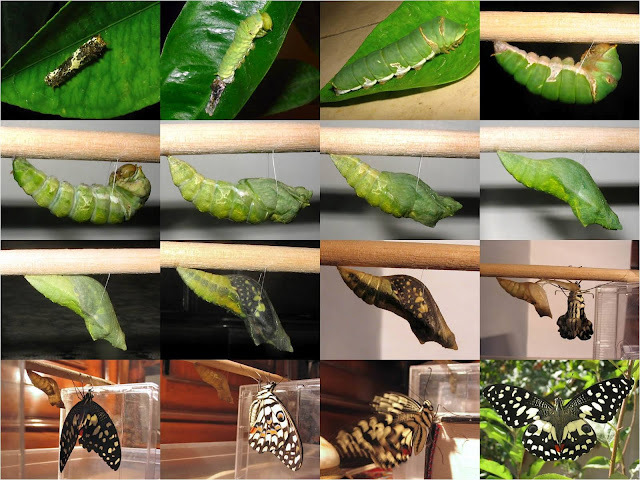 As with many other members of this family the caterpillar begins life looking like a something a bird has left behind. When they are ready to transform themselves in to pupae they attach themselves on to the tree by a thread of silk, thin but strong, and emerge as the butterfly several weeks later. Over now to North and Central America where the Pipevine delights with its gorgeous colorings. 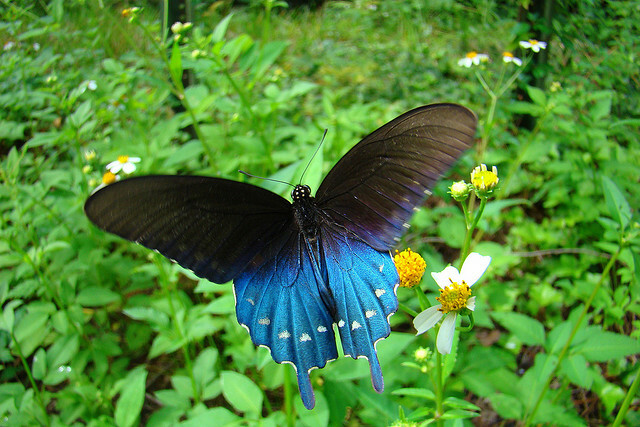 Battus philenor ranges all the way from Canada to Costa Rica and is a well traveled insect. 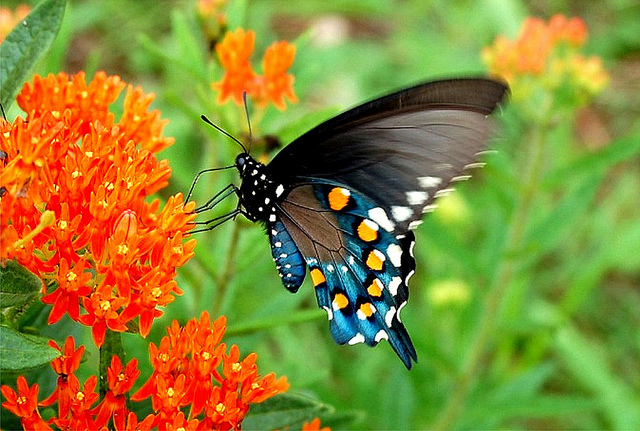 By feeding on milkweed this butterfly is highly poisonous to birds and others animals which may prey on it. The colorings are, as such, a warning sign. Watch out! I will give you a belly ache! The Pipevine is beautiful from all directions. 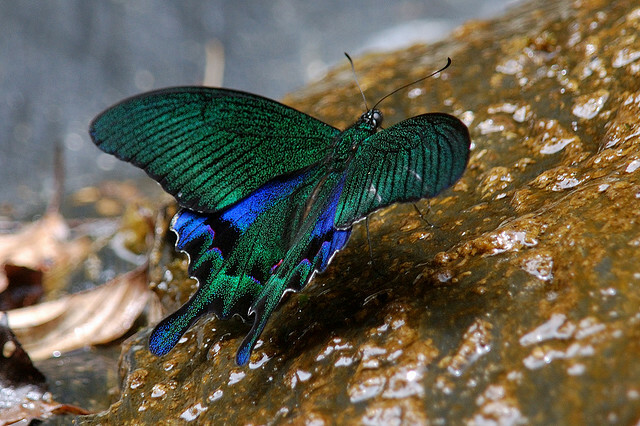 The male of the species, like others in the family, has iridescent blue colorings on the top of the wings. 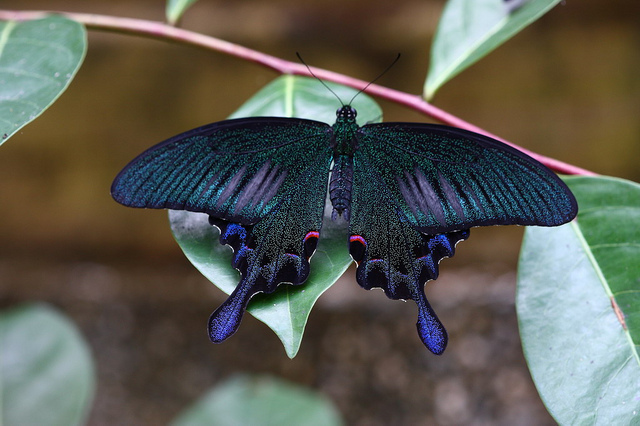 Unlike others, however, which look as if they have been sprayed lightly with fairy dust, the Pipevine has an almost triangular shaped section of its hind wings in this fabulous hue. The fore-wings are a little less spectacular. 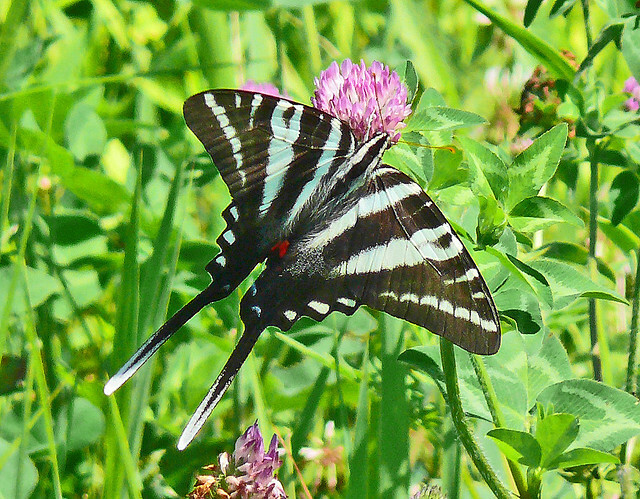 The official state butterfly of Tennessee, the Zebra is so called because, well, just look at it. 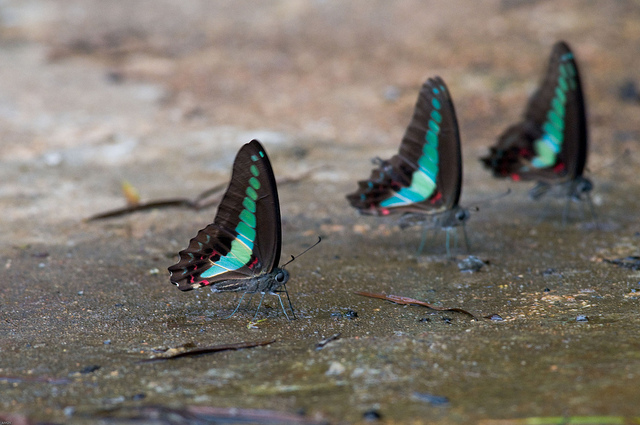 Scientifically known as Eurytides Marcellus, it has triangular wings with tails that seem to go on forever. 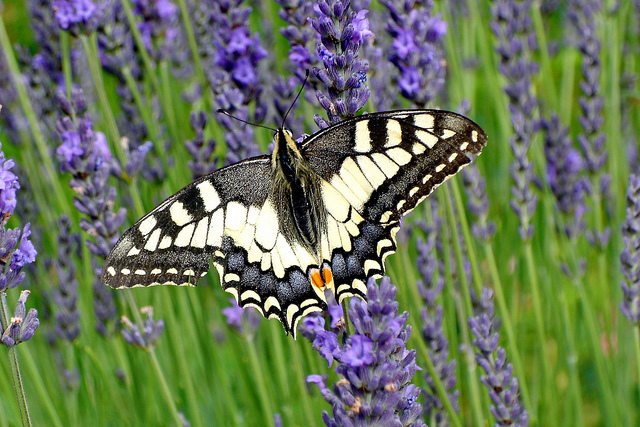 This is the leggy supermodel of the swallowtail family, indeed. The form you see above is that which appears in the summer. 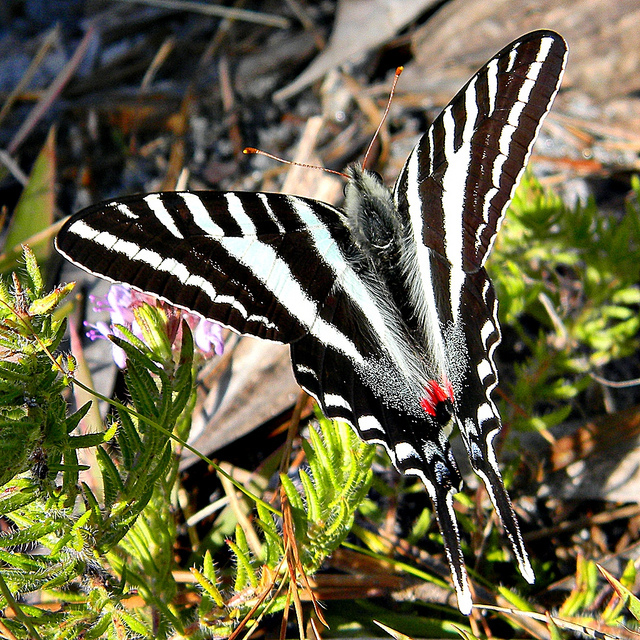 It has the long wing tips for which the species is renowned and a red spot at its base. The example below, is however, the same species but seen in its spring form. The tail tips are significantly smaller and it has no red spot. 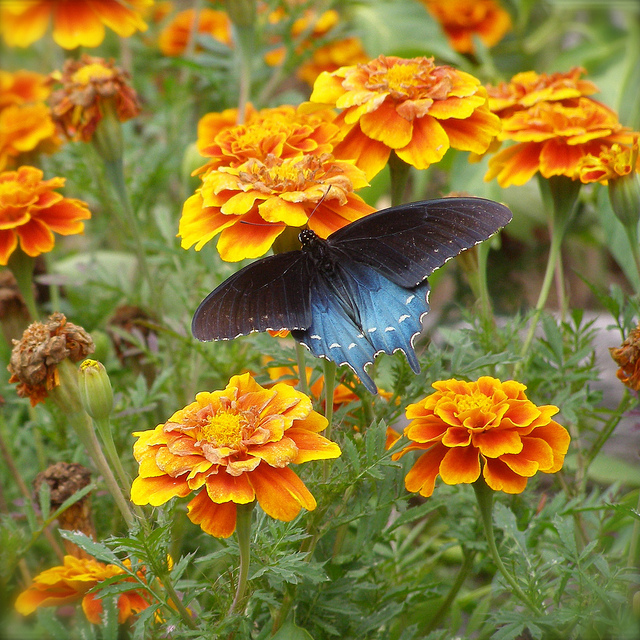 Many thought they were different species for a long time and it is supposed that it is variation in diet that produces the two seasonal types. 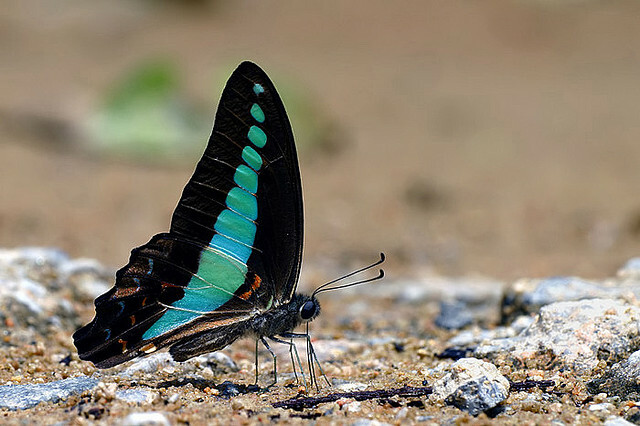 You can find the Common Bluebottle (Graphium sarpedon) in parts of Australia but it is mostly found in Souht East and South Asia. 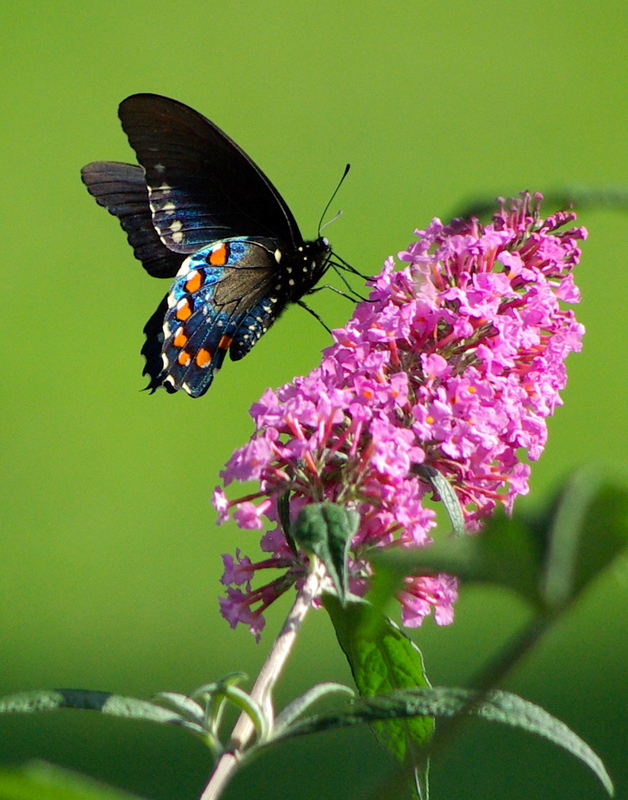 It does not have the extended wing tips that a lot of the swallowtail family has, but it is however a member. Although they do prefer the moistness of low level rain forest their range has increased to include cinnamon tree plantations (they will feed off any member of the laurel family). The males are very often seen, in Australia, congregating around puddles, usually by roadsides, to drink. Why the name? Perhaps it is because they are also attracted to the droppings of animals and the rotting carcasses of animals and other insects. The beauty and the beastliness indeed. 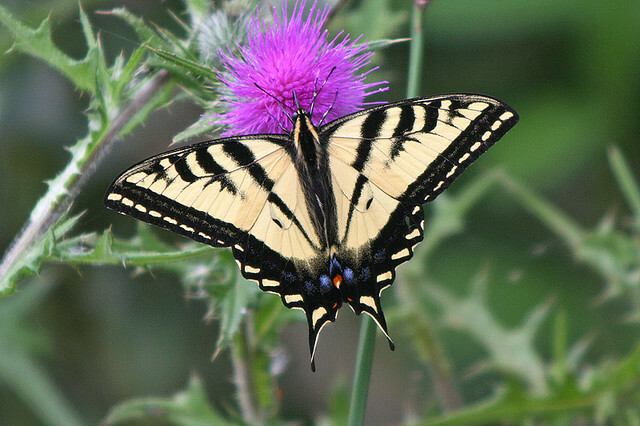 We will end with a common North American Swallowtail, before there is a deluge of comments about its exclusion. 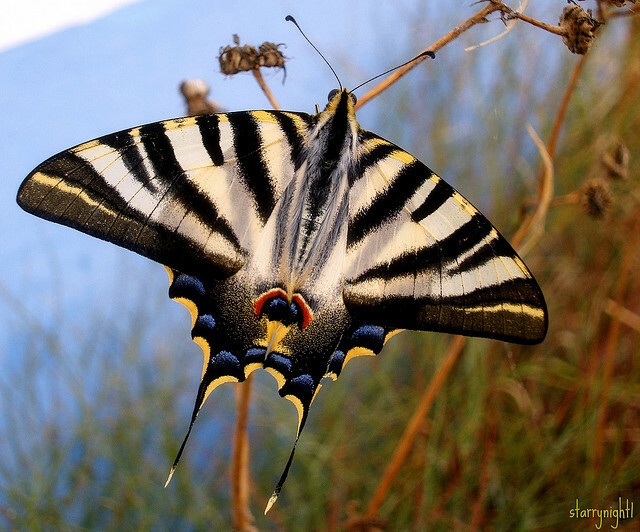 Although neither the rarest or more unusual of the swallowtails it has a beauty that is all its own. 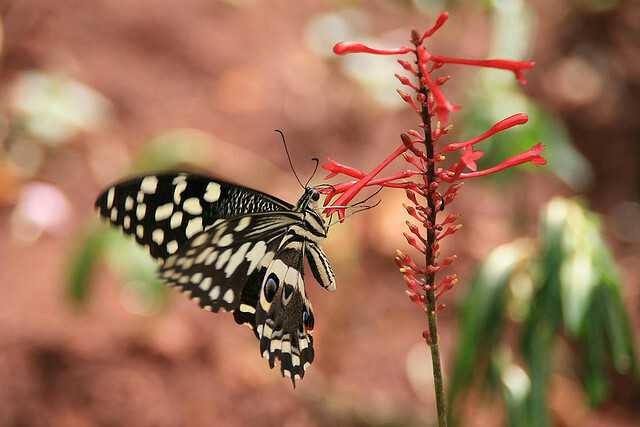 Papilio rutulus is found in many urban areas and gardens and as such is one of those species that lifts the hearts of people without them tramping around in the woods. 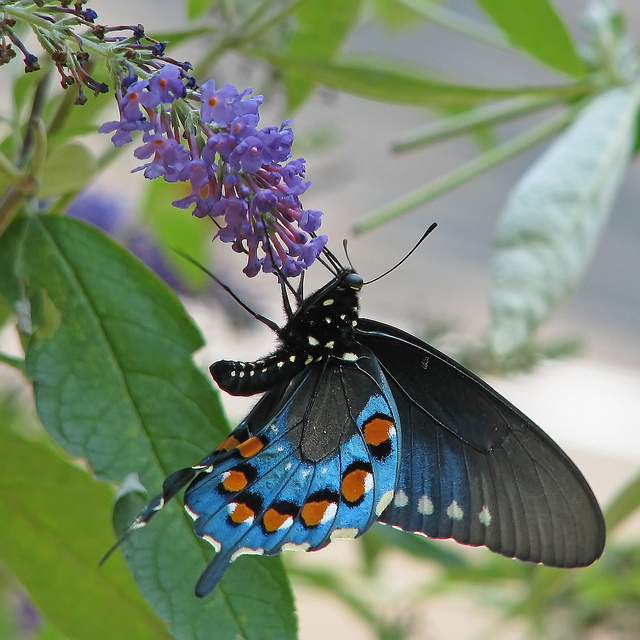 It has lovely blue and red spots near its dual tails and is, quite simply, lovely.